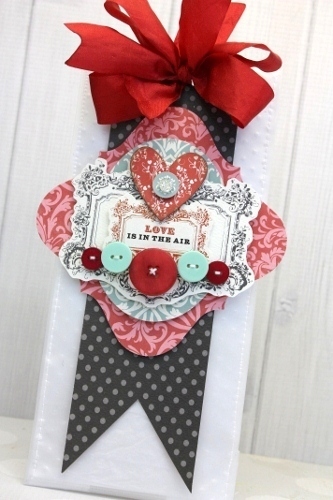 recipient on strips of paper and throw in a couple of handmade coupons to boot! 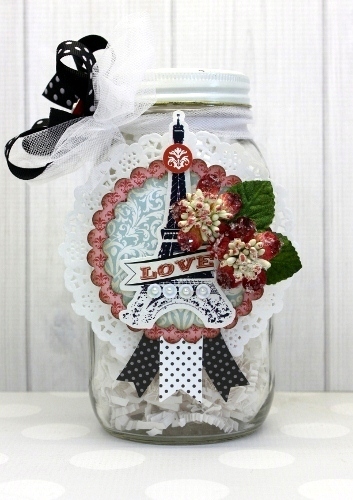 I started with a clear, standard 7” jar, a 4” paper doily and the "Amour" Collection. 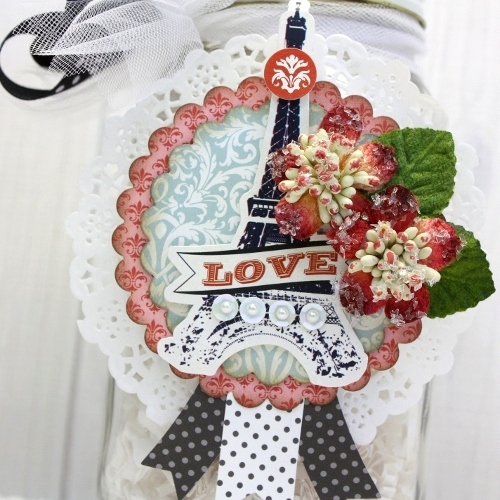 The doily was dressed up with a layering of scallops cut from the 6X6 Paper Pad. 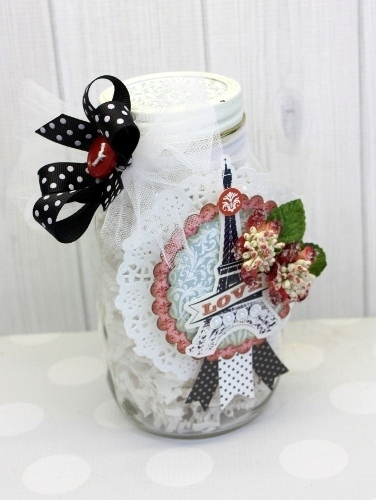 attached to the center of the jar with foam adhesive tape. 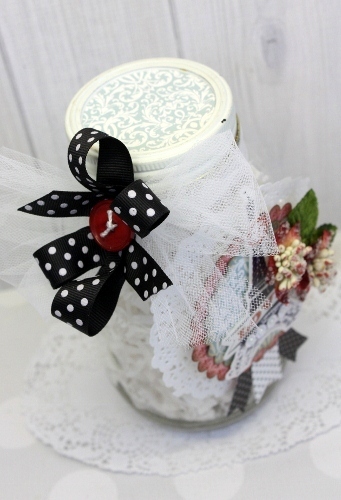 embellished with a boutique style bow from black dot grosgrain ribbon. a cluster of velvet flowers and leaves. Three paper tails were added to the bottom. of the bag to add interest and a bit of depth. From the “Cherish Forever” 12X12 paper, a banner strip was cut to measure 2.5”X7”. 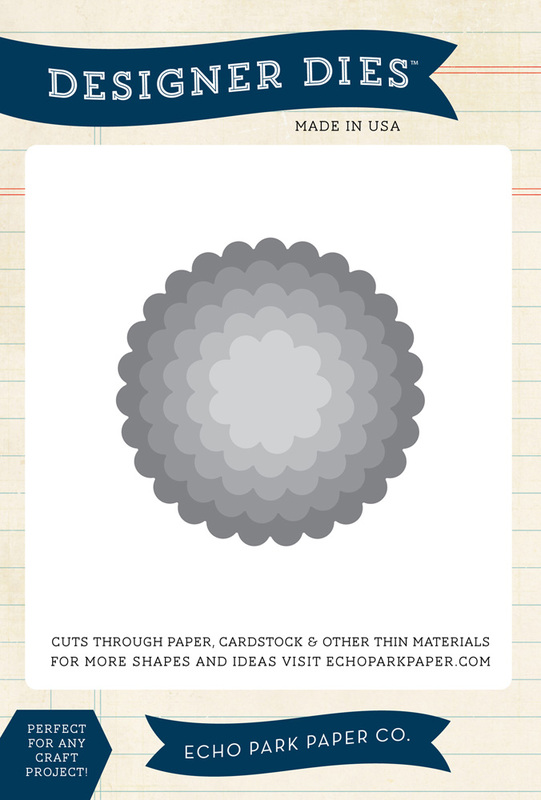 bottom point, the paper was cut at an angle until it met with the middle cut…easy! Next, I attached the banner to the bag with a high-tack adhesive tape. 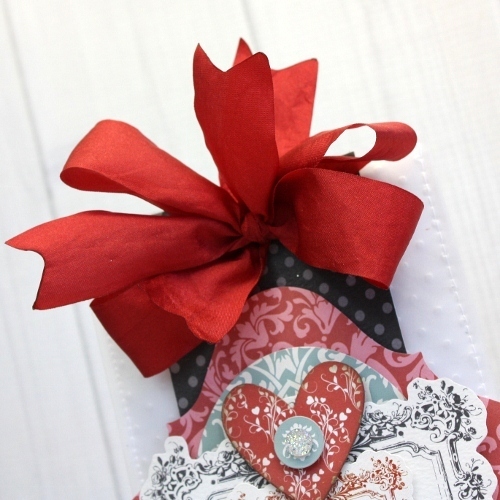 using the Heart Label Die Set and then inked around the edges with walnut ink. 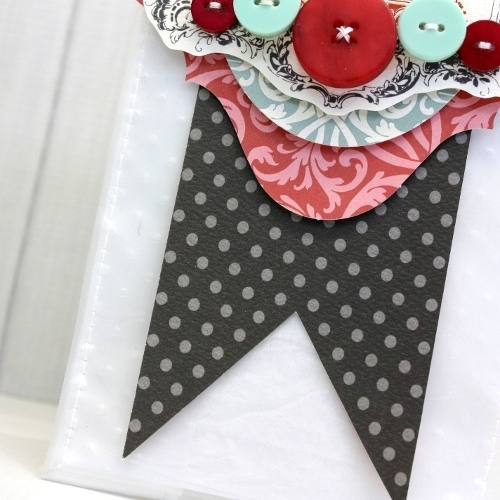 Buttons were threaded to give a stitched look and then added with glue dots. Two holes were punched at the top of the bag using a standard hole punch. 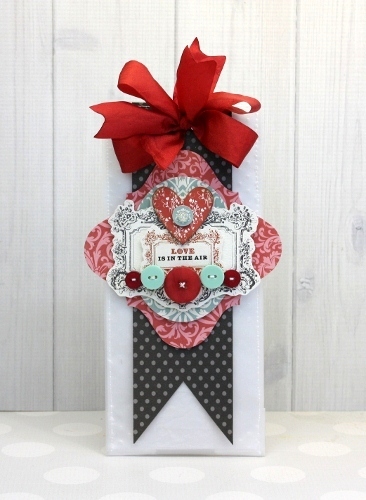 A seam-binding style ribbon was tied through and looped into a luscious bow. 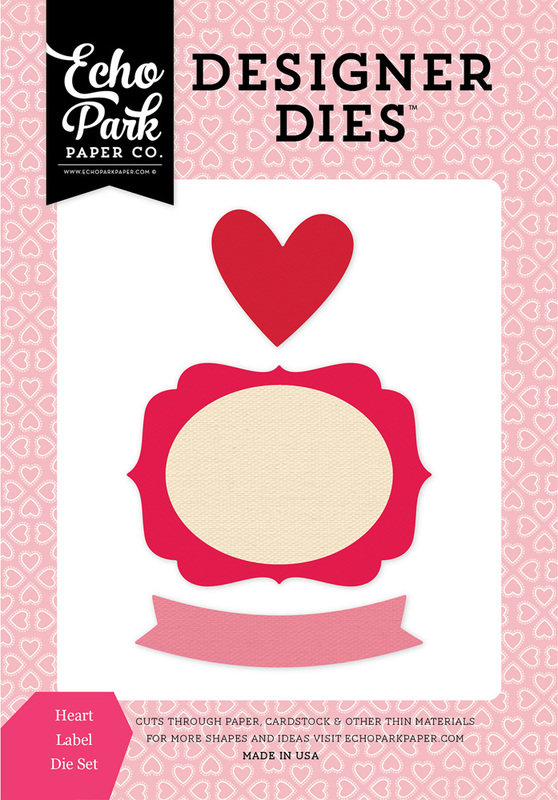 your Valentines will be in awe! 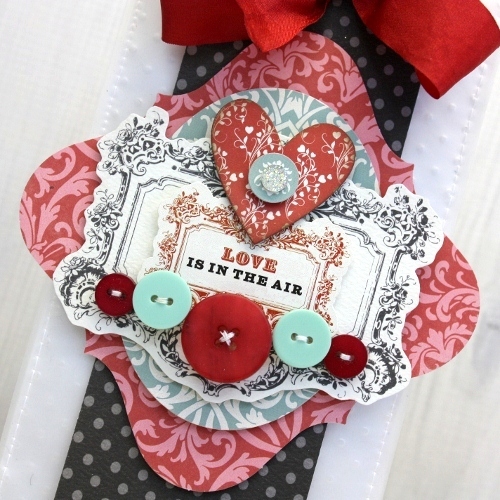 See more Carta Bella projects on the blog...so much inspiration!